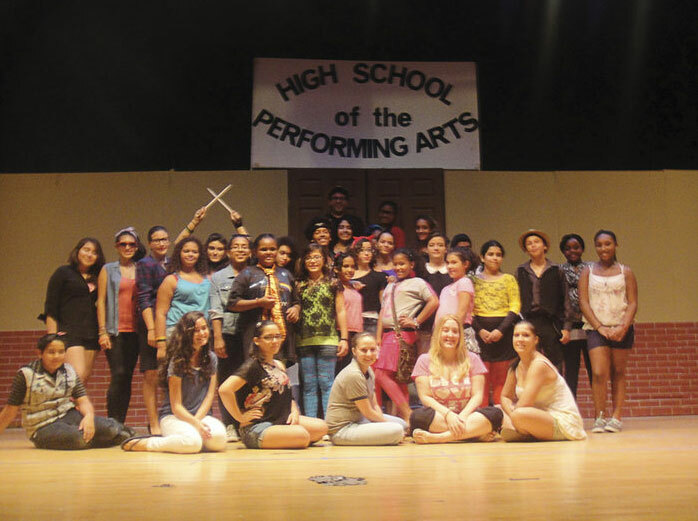 CAST – The ‘Fame Jr.’ cast poses in between rehearsals. 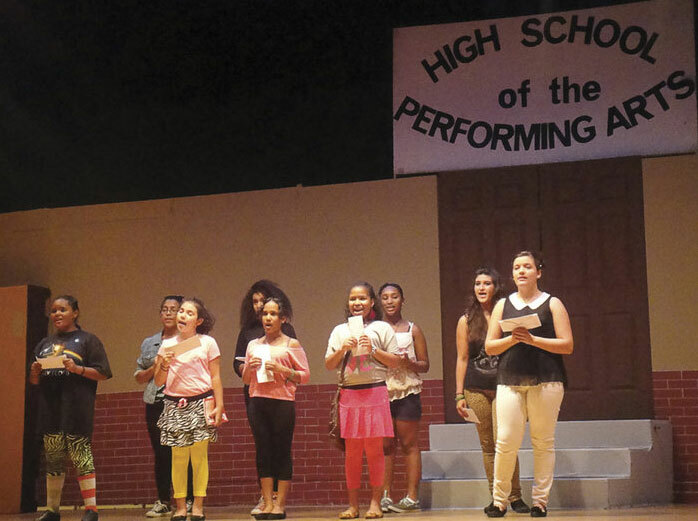 “Fame Jr.,” featuring a cast ranging in age from nine to 19 years old, was scheduled to take the stage in the North Bergen High School Auditorium at 7 p.m. on Friday, Aug. 24 and Saturday, Aug. 25. 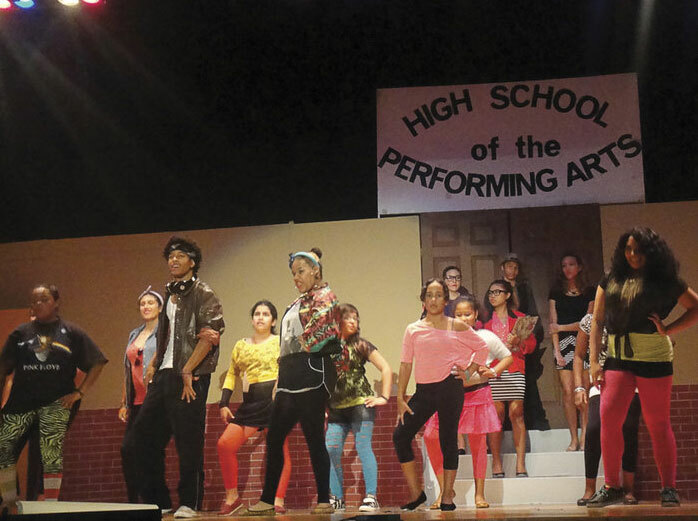 The North Bergen Library is hosting the musical with free admission for the public. The high school is located at 7414 Kennedy Blvd. Two days of auditions brought out 85 hopefuls from which 30 members were cast. “They’ve come a long way since seeing them at auditions,” said Co-Director Paula Ribeiro. 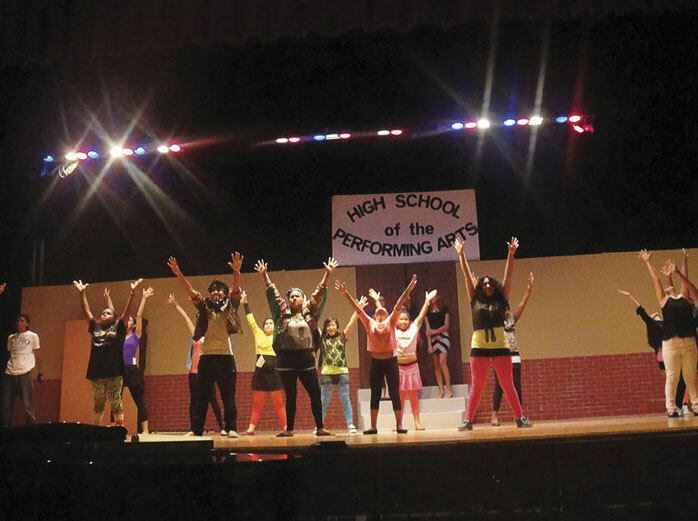 The “Fame Jr.” cast rehearsed for two months before opening night, every week on Monday through Thursday from 5 to 8 p.m. Only one performer dropped out due to a family emergency. 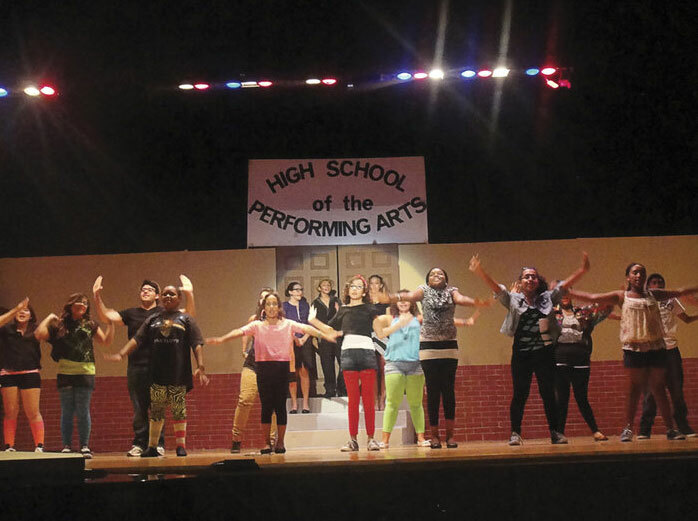 Director Melissa Welz, a music teacher at the local Horace Mann School, said that originally the cast members stuck to their age groups but have now become one large family. Welz thought the older cast would be an issue but they actually helped the younger ones. “A lot of the older ones took on roles as mentors,” said Ribeiro. Welz thinks the shy kids that auditioned are now more outgoing. 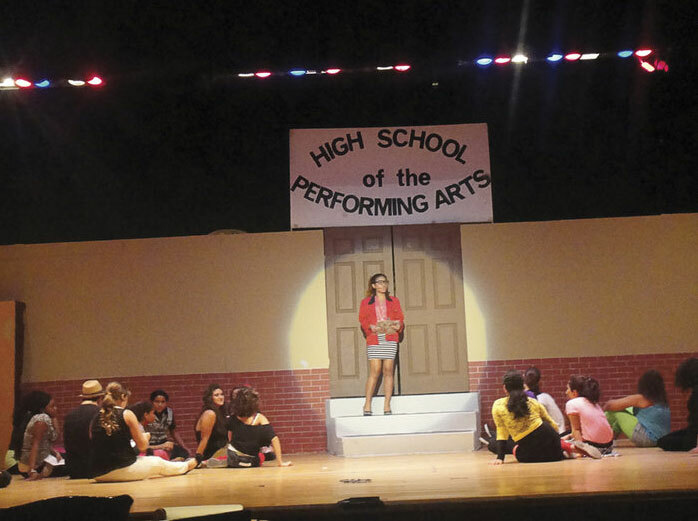 “If you have a self-confidence problem or you’re shy, do a musical,” said Welz. Welz said that unlike the original, the scenes are shorter, and with no cursing. For character Carmen Diaz, who has a drug addiction, there are no drugs shown, just the effects the drugs do to her. “Every character is different and every character has their own problem,” said Welz. One of the “Fame Jr.” characters that made an impression on Welz is Tyrone Jackson, because he has a learning disability that is diagnosed by a teacher like herself. Tyler Griffin, 18, plays Tyrone. He has performed in an Off-Broadway production of “High School Musical” prior to “Fame Jr.” Griffin describes Tyrone as a frustrated person who is very talented. Janelle Guevarra, 17, plays Mrs. Esther Sherman, one of the teachers. She was chosen as Mrs. Sherman although she auditioned for Carmen. Her character is strict and intimidates the students. Guevarra compares Sherman to an older sister with “tough love” methods. Guevarra believes she was chosen for the role because she is loud and can project her voice. She aspires to become an actress. Natassha Rivera, 16, plays Mabel Washington. She relates to the character because she is not a typical skinny dancer. Her character gets made fun of, something Rivera admits she experiences in her own life. She enjoys the retro ’80s clothes which ties into her love for fashion. Rivera helped many of her cast members with their costumes. Welz could not believe the show was free and did not need fundraising. She thanked the cast, Library Director Sai Rao, the Library Board, Mayor Nicholas Sacco, the Board of Education, the North Bergen High School Music Department, District Music Supervisor George Haviland, and custodians at North Bergen High School. After the musical is over Welz believes the cast will have “after show illness,” when actors go from an all-time high to depression because the show has come to an end. She has directed several plays such as “Into the Woods,” “A Christmas Carol” and “Annie” in Ridgefield. This is her first play in Hudson County. Guevarra loved working with Welz and knows that there will be more projects in the future. “Mrs. Welz has become like a mother. She’s hard, but at the same time she’s welcoming, she’s warm,” said Janelle. Those interested can come to North Bergen High School for either performance.